Sola Adesope’s research is at the intersection of educational psychology, learning sciences, instructional design and technology. His recent research focuses on the cognitive and pedagogical underpinnings of learning with computer-based multimedia resources; knowledge representation through interactive concept maps & diagrams, evidence-based practices through meta-analyses and empirical research, learning analytics, and investigation of instructional principles and assessments in Science, Technology, Engineering and Mathematics (STEM) domains. 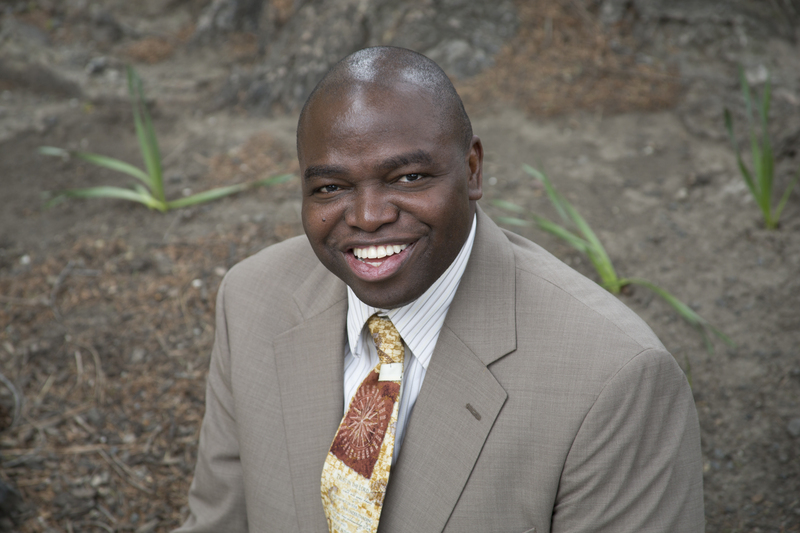 Dr. Adesope teaches the following courses: Theoretical Foundations of Learning and Instruction, Principles of Research, Quasi-Experimental Designs, Systematic Reviews and Meta-Analysis as well as Advanced Educational Psychology with Emphasis on Multimedia Learning Theories, Principles and Research. 2018 – 2022 – Co-Principal Investigator on National Science Foundation grant entitled “Collaborative Research: IUSE:EHR: EDUC-ATE: Educating Diverse Undergraduate Communities – Affordable Transport Equipment”; ~$2.64 million. 2018 – Article entitled “Rethinking the Use of Tests: A Meta-Analysis of Practice Testing” published in the Review of Educational Research (impact factor 5.263) was announced as one of the top 10 most read education research articles in 2017. Distinguished Paper Award – IEEE/ACM International Conference on Program Comprehension (ICPC) on our paper entitled “The Effect of Poor Source Code Lexicon and Readability on Developers’ Cognitive Load”. 2017 – 2021- External Evaluator on National Science Foundation grant entitled “Culturally Responsive Indigenous Science (CRIS): Connecting land, language, and culture for Indigenous STEM (ISTEM) education”; $2,481,274. 2014 – Presented the “Outstanding Early Career Researcher Award” for American Educational Research Association’s Technology, Instruction, Cognition and Learning Special Interest Group – Philadelphia, PA.
2011 – G.M. Dunlop Award for the Best Doctoral Dissertation in Educational Psychology in Canada, presented by the Canadian Association for Educational Psychology. 2011 – Grants Program Invited Participant – American Educational Research Association (AERA) Faculty Institute for the Teaching of Statistics with Large-Scale Data Sets – Stanford University, Palo Alto, California. 2011 – AERA Division C (Learning and Instruction) New Faculty Mentoring Program Invited Participant – New Orleans, Louisiana. Adesope, O. O., & Rud, A. G. (2018). Maximizing the affordances of contemporary technologies in education: Promise and possibilities. In O. O. Adesope, & A. G. Rud (Eds), Contemporary Technologies in Education – Maximizing Student Engagement, Motivation, and Learning. Palgrave Macmillan. Schroeder, N., Nesbit, J. C., Anguiano, C., & Adesope, O. O. (2018). Studying and constructing concept maps: A meta-analysis. Educational Psychology Review, 30, 431 – 455. Adesope, O. O., Trevisan, D., & Sundararajan, N. (2017). Rethinking the use of tests: A meta-analysis of the testing effect. Review of Educational Research, 87, 659 – 701. Adesope, O. O., Cavagnetto, A., Anguiano, C.+, Hunsu, N.+, & Lloyd, J. (2017). The comparative effects of computer-based concept maps, refutational texts and expository texts on science learning. Journal of Educational Computing Research, 55, 46 – 59. Ardasheva, Y., Wang, Z., & Adesope, O. O. (2017). Exploring effectiveness and moderators of language learning strategy instruction on second language learning and self-regulation outcomes. Review of Educational Research, 87, 544 – 582. Wang, Z., & Adesope, O.O. (2017). Do focused self-explanation prompts overcome seductive details? A multimedia study. Journal of Educational Technology & Society, 20, 47-57. Wang, Z., Sundararajan, N., Adesope, O. O., & Ardasheva, Y. (in press). Moderating the seductive details effect in multimedia learning with note-taking. British Journal of Educational Technology. Srivastava, A., Hahn, A., Adesope, O. O., Hauser, C. H., & Bakken, D. E.(in press). Experience with a multi-disciplinary, team-taught smart grid cyber infrastructure course. IEEE Transactions on Power Systems. Ardasheva, Y., Wang, Z., Roo, A., & Adesope, O.O (in press). Impacts on Science Reading Comprehension and Interest: Do Visuals Always Help English Learners? Journal of Educational Research. Hunsu, N., & Adesope, O. O., & Bayly, D. (2016). A meta-analysis of the effects of audience response systems (clickers) on cognition and affect. Computers & Education, 94, 102-119. Abdul, B., Adesope, O. O., VanWie, B. J., & Thiessen, D. (2016). Comparing the effects of two active learning approaches in an engineering education classroom. International Journal of Engineering Education, 32, 1-16. Wang, Z+., & Adesope, O. O. (2016). Exploring the effects of seductive details with the 4-phase model of interest. Learning and Motivation, 55, 65-77. Adesope, O. O., Zhou, M., & Nesbit, J. C. (2015). Achievement goal orientations and self-reported study strategies as predictors of online studying activities. Journal of Educational Computing Research, 53, 436 – 458. Schroeder, N. L., & Adesope, O. O. (2015). Impacts of pedagogical agent gender in an accessible learning environment. Educational Technology & Society, 18(4), 401-411. Ma, W., Adesope, O. O., Nesbit, J. C., & Liu, Q. (2014). Intelligent tutoring systems and learning outcomes: A meta-analytic survey. Journal of Educational Psychology, 106, 901-918. Schroeder, N. L., & Adesope, O. O. (2014). A systematic review of pedagogical agents’ persona, motivation, and cognitive load implications for learners. Journal of Research on Technology in Education, 46(3). Adesope, O. O., & Nesbit, J. C. (2013). Learning with animated and static concept maps. Learning and Instruction, 27, 1-10. Nesbit, J. C., & Adesope, O. O. (2013). Animated and static concept maps. In G. Schraw, M. Mccrudden, & D. Robinson (Eds. ), Learning Through Visual Displays. (pp. 303-328). Greenwich, CT: Information Age. Schroeder, N. L., Adesope, O. O., & Barouch-Gilbert, R. (2013). A meta-analysis of the effects of pedagogical agents on learning. Journal of Educational Computing Research, 49, 1-40. Adesope, O. O., & Nesbit, J. C. (2012). Verbal redundancy in multimedia learning environments: A meta-analysis. Journal of Educational Psychology, 104, 250-263. Panchal, J., Adesope, O. O., & Malak, R. (2012). Designing undergraduate design experiences – A framework based on the expectancy-value theory. International Journal of Engineering Education, 28, 1-9. Trevisan, M. S., French, B. F., & Adesope, O. O. (2012). Including contextual factors in the reporting of school improvement data. The WERA Educational Journal, 5, 2-7. Adesope, O. O., Lavin, T., Thompson, T., & Ungerleider, C. (2011). Best practices in teaching literacy to ESL immigrant students: A meta-analysis. British Journal of Educational Psychology, 81, 629-653. Adesope, O. O. (2011). Learning Statistics with multimedia aids. Cases on inquiry through instructional technology in Math and Science: Systemic Approaches. IGI Global. Adesope, O. O., Lavin, T., Thompson, T., & Ungerleider, C. (2010). A systematic review and meta-analysis on the cognitive correlates of bilingualism. Review of Educational Research, 80, 207-245.